The prefabrication industry is thriving in Australia. From modular homes to commercial applications, prefab is providing safer, more affordable, sustainable alternatives to traditional building. Here at prefabAUS, we believe the future of building is prefabrication. So much so, we’ve dedicated an entire conference to it. Now in its fifth year, the prefabAUS Conference is the only conference of its kind in Australia – and it’s coming to Brisbane this September. In this post, we’ll share everything you need to know about Australia’s leading construction industry conference, including key highlights, what to expect – and, of course, how to secure your place at this world class event. The Conference is preceded by a Site Visit Program, which takes place on Monday 10 September and is available only to prefabAUS members. The Conference itself follows over two days, Tuesday 11 and Wednesday 12 September, and is open to members and the public. 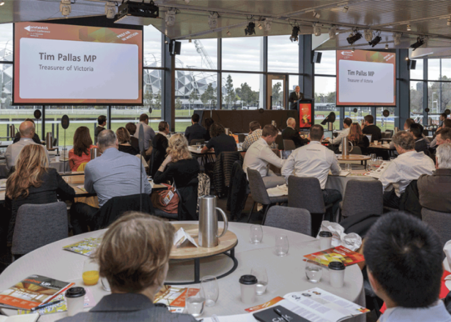 The prefabAUS Conference draws a diverse crowd of construction professionals and enthusiasts, including builders, developers, project managers, architects, engineers, manufacturers, suppliers, students and clients. It’s the place where the biggest names and brightest minds in modern construction meet to network, socialise and share new ideas. Whether you’re an industry leader, or you simply want to learn more about prefab, you’ll be inspired by the action-packed program, which features thought-provoking panel discussions and keynote speakers from both Australia and overseas. Plus, there’s the chance to rub shoulders with the who’s who of the construction industry and connect with all the key players. The theme for the 2018 Conference is Building Momentum: The rise and rise of prefabrication. It has relevance to both prefabAUS as an organisation, as well as the prefab industry as a whole, as each continues to grow and prosper. The speakers and sessions at this year’s event will centre around the progression of prefabrication, with a strong focus on what’s to come. New technologies, design methodologies, sustainability and digital-enable communities will be hot topics, allowing visitors to get a glimpse into the future of our cutting-edge industry. As well as looking forward, delegates at this year’s Conference will also have the opportunity to reflect, as prefabAUS celebrates its fifth birthday. With our industry evolving so quickly, it’s easy to lose sight of how far we’ve come. Processes and ideas that were once possibilities have become the new norm. However, when we look back at our progress over the five years, the momentum we’ve built is undeniable. The advancement of our industry has been phenomenal – and the possibilities for our future, even more so. The juxtaposition between past, present and future will be a key concept at of this year’s Conference. With just a few months left before the prefabAUS 2018 Conference, our team are working studiously to create our most captivating event yet. We have secured the highest calibre keynotes speakers, including Karim Khalifa from Sidewalk Labs, who will be joining us all the way from New York, as well as George Konstandakos, Head of Lendlease’s manufacturing business, DesignMake. Karim and George will be joined by dozens of other speakers, discussing everything from sustainable manufacturing to how to use new technology to tackle big urban challenges. Between keynotes, the Conference will be a hive of activity, with panel discussions taking place throughout Tuesday and Wednesday. As well as hearing from leading experts, attendees will have their chance to join the conversation and weigh in on the critical topics impacting our industry. Then of course, there’s the networking function. The official prefabAUS 2018 Conference networking event will be held at the Gallery of Modern Art (GoMA) – a picturesque, art-rich environment with spectacular views of the Brisbane River and city skyline. 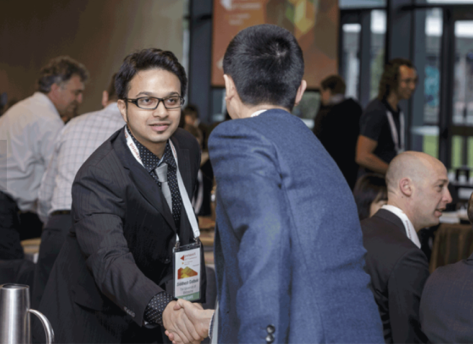 The networking function will take place on the evening of Tuesday 11 September, providing attendees with the perfect opportunity to recap on the first day of Conference, mingle with other guests, and make connections in one of Brisbane’s most iconic settings. If you haven’t already secured your spot, it’s not too late to join us at the prefabAUS 2018 Conference. Register now and start planning your visit. We’d love to see you in September.